Whilst I am confident that I know what to do in substituting for dairy milks, yoghurts and fats, replacing egg is less familiar. Being clear that I didn't want to use a commercial 'egg replacer' or an obvious specific egg-substitute (on the rare occasions that I have used them, I have been unhappy with the results), I challenged myself to bake a cake with a soft sponge that did not compromise quality and that even the most hardened egg-eating cake addict would love. A bit of basic research on vegan baking later (actually there is nothing particularly 'clever' about it at all) and my very own vegan chocolate cakes were born...... My niece was really chuffed that I had made a special effort and everybody else really enjoyed them too. They were so good, that I decided they needed to make another appearance in my kitchen and also to be shared with the world. Whether you are intolerant or allergic to any or all of these ingredients....... rest assured that you too can have your chocolate cake and eat it! And for an added guilt-free bonus, I have made them as healthy as possible by using unrefined coconut palm sugar and also coconut oil, coconut milk and some ground almonds for good measure. The sponge is deliciously chocolatey with a good punch of cocoa....... Although the crumb is quite dense, it is by no means over-firm, with a texture that remains soft and perfectly cakey. 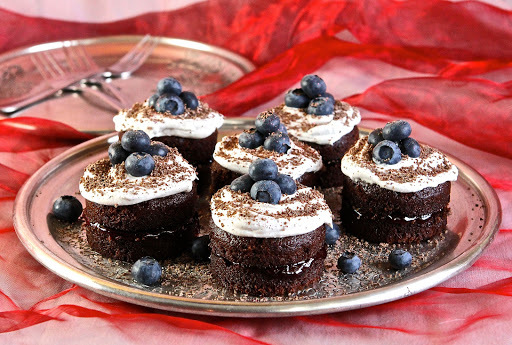 Sandwiched with a contrastingly fruity red cherry conserve and topped with whipped coconut cream, these mini sandwich cakes are as decadent as they are tempting...... 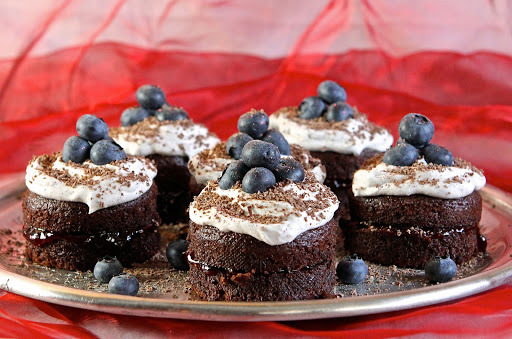 Topped with a few blueberries and a sprinkle of dark vegan chocolate and a little glitter, they are sure to put a smile on the face of all who are lucky enough to eat them. Another great idea for Valentines? I think so! 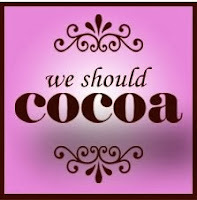 We Should Cocoa with Lovely Appetite on behalf of Choclette at Tin & Thyme. 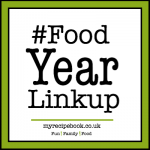 This month's theme is for 'simple recipes'...... These may be vegan, but they are really easy to make! 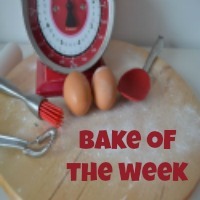 Bake of the Week with Casa Costello. 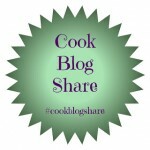 Cook Blog Share, this week with Haley over at Snap Happy Bakes. 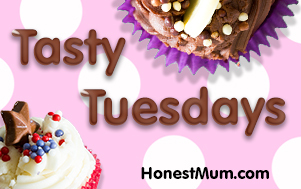 Tasty Tuesdays with Honest Mum. 140g GF plain flour mix (without xanthan gum) - I used mix A from this post but minus the xanthan. ¼ teaspoon vanilla powder or paste. Pre-prepare for making the coconut cream, by placing the tin of coconut milk (or the coconut cream) in the fridge (upside-down) overnight. Weigh and mix together the flour, almonds, baking powder, bicarbonate of soda, salt, cocoa powder and sugar. Preheat the oven to 180 C/350 F/Gas 4. Prepare your cake tins/cases. I used a mini sandwich cakes tin (which I base lined with baking paper), or you may prefer to make cupcakes. In a small bowl, melt the coconut oil either over steaming water or in the microwave on medium (30 second bursts until liquid). Put the milk, yoghurt, vanilla paste and vinegar in a large bowl, add the melted coconut oil and whisk until well combined. If the coconut oil begins to solidify and go lumpy, place the bowl over a dish of steaming water and whisk, to enable it to remain liquid. Add the dry ingredients and whisk all together until completely combined (whisk over a dish of steaming water if there is any hint of oil solidification, so that your batter becomes really smooth). Spoon into the cake tins or cupcake liners (about two-thirds full) and bake for about 20 minutes until an inserted skewer comes out clean. Remove from the tins and place on a wire rack to cool. Scoop out the coconut cream into a medium bowl and add the sweetener and vanilla. Whisk the cream until thick, then set aside in the fridge for at least an hour or until ready to use. When the cakes are cold, slice in half horizontally or core a small hole from the middle (saving the cake cap) and fill with red cherry conserve or your favourite jam. 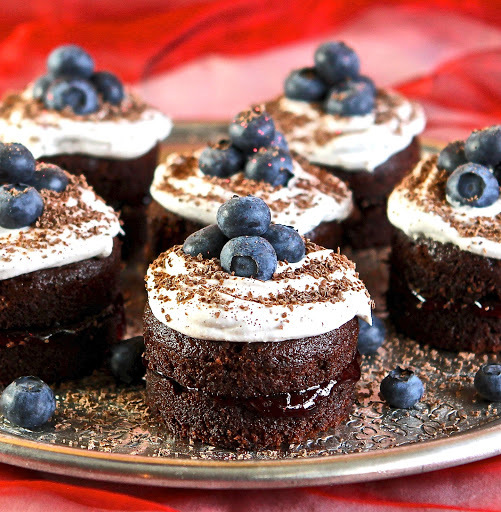 Top each cake with a spoon of coconut cream, fruit and grated vegan chocolate. Thanks Helen. To be honest, these cakes were so good, I would be happy to run out of eggs quite often! I had the same worry Charlotte..... But these are a revelation! It has to be worth finding a good vegan cake recipe! hooray for vegan cake! amazing recipe, kate! Thanks Aimee. I'm well-chuffed with it! Thanks Hayley. I think everyone would enjoy these..... dietary needs or not! Thanks Eb. Let me know if you make them...... They were darn good! Cool! Thanks Kat..... I hope she tries (and enjoys) them. Let me know how she gets on! Not being vegan I can take or leave vegan cake as - mostly - it's not as good as regular cake. 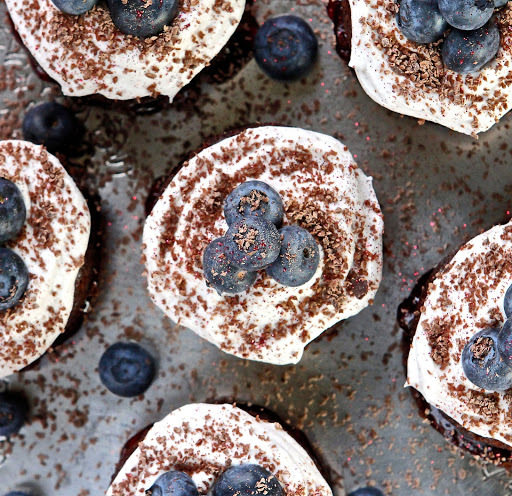 However, that coconut cream topping looks amazing! You certainly made a lovely effort to accommodate everybody! 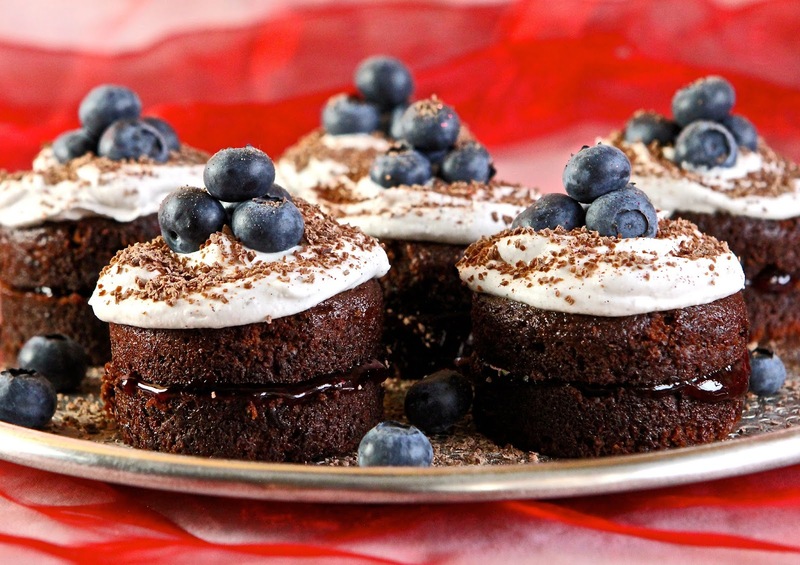 lOOOVE the look of these!They really look so moreish, love the coconut cream topping. 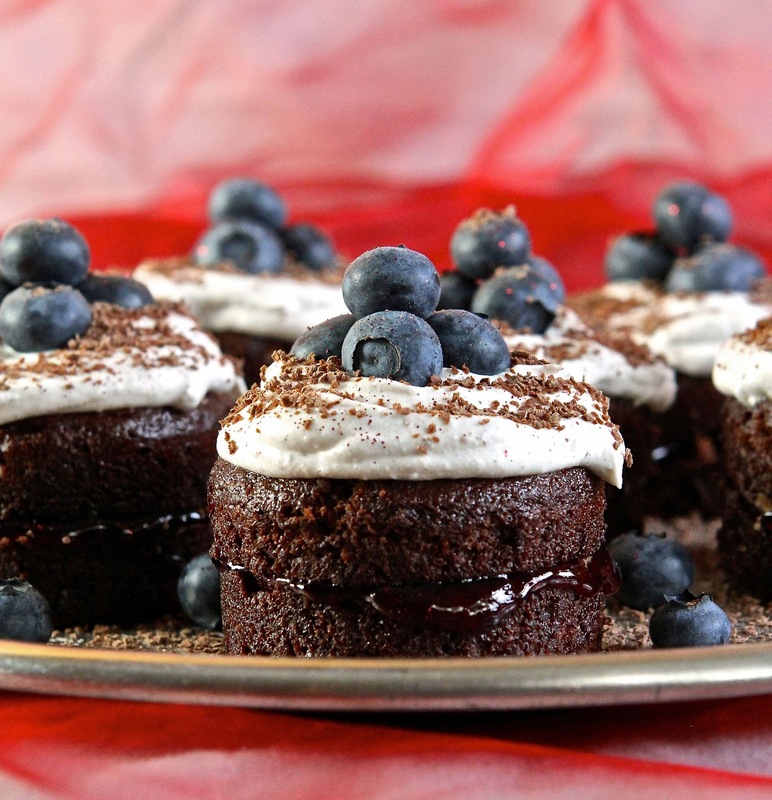 Always good to have healthier cakes and it definetely makes a good Valentine treat! Thanks Johanna. I may have just been lucky in getting this recipe as good as it was...... My niece, my daughter, my husband and the grandparents all really enjoyed them..... so they must have been pretty good! Thanks Vicki.... I wish I sounded like Adele!! Ooh my Kate, these sound fabulous and they look rather gorgeous too. I remember being rather sniffy at the idea of vegan cakes, but when we got a vegan member of staff at work a few years ago, I had to give them a try. 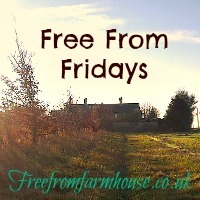 I was really quite astonished at how good they are. Apart from anything else, they are a life saver when I've run out of eggs and need to make a cake in a hurry - you know how it is! Thanks for sharing these with #WeShouldCocoa.